If you’ve been researching your cataract surgery options, then you’ve likely come across a few articles discussing laser cataract surgery. On this page we are going to discuss what cataracts are, and how laser cataract surgery from Woolfson Eye Institute can give you clear vision using a safe, effective procedure. Clouded vision caused by cataracts can make it more difficult to read, drive a car — especially at night — or see the expression on a friend’s face. Most cataracts develop slowly and don’t disturb your eyesight early on. With time, however, cataracts will eventually interfere with your vision. Stronger lighting and eyeglasses can help you deal with cataracts at first, but when impaired vision begins to interfere with your usual activities, you might need cataract surgery. To learn more about laser cataract surgery, keep reading. What does the femtosecond laser assisted cataract surgery (FLACS) process look like? Laser cataract surgery is a relatively new procedure in the United States that allows cataract surgery to be performed with a machine-guided bladeless laser, as opposed to standard or conventional cataract surgery that is performed manually by a cataract surgeon. During the process, the laser will create corneal incisions as well as the capsulorhexis, a technique pioneered by Howard Gimbel used to remove the lens capsule during cataract surgery by shear and stretch forces, and can also be used to break up the cataract before the natural lens is removed from the eye. 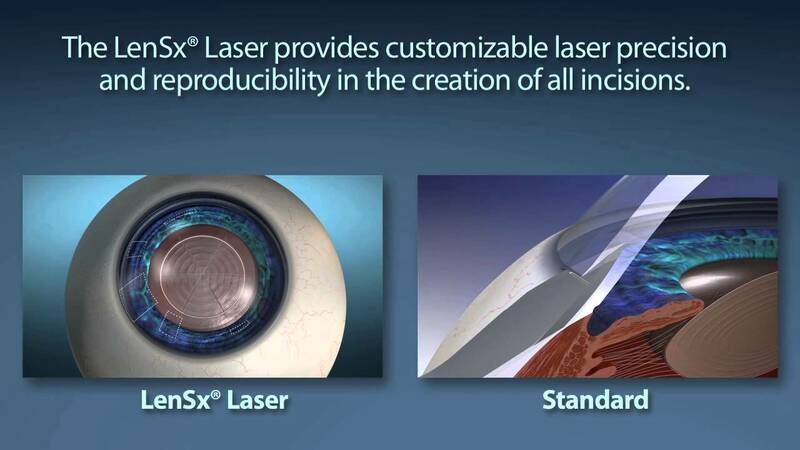 Laser assisted cataract surgery has been shown to be superior to a manual instrument by significantly reducing the likelihood of human error when creating the capsulorhexis, as well as creating astigmatism treating incisions (LRIs) that are more accurate. With the ability to perform bladeless laser refractive cataract surgery at our Atlanta location, we are now able to provide a more precise, laser guided surgery for patients in need of cataract treatment. The result is a more predictable outcome for our patients. Laser cataract surgery is approved by the FDA, receiving its most recent approval in 2012. Having laser cataract surgery at Woolfson Eye Institute is one of the best decisions you will make and will allow your procedure to be performed in our state-of-the-art Ambulatory Surgery Center (ASC) that was designed, developed, and built with your complete comfort and satisfaction in mind. Who is a candidate for laser cataract surgery? Cataract surgery is performed to remove the cloudy natural lens from the eye, and is typically performed on patients between the ages of 60-75, however this is not always the case. In most cases a permanent refractive intraocular lens (IOL) implant is inserted to replace the natural lens thereby restoring focusing power. Your surgeon will work with you to decide when to have cataract surgery, based on how well you are able to see during routine activities. Many patients are able to drive, watch TV and work for a number of years after being first diagnosed with cataracts. However, if you have cataracts, you will eventually start to notice declining visual clarity – often with ghost images – which are not correctable with glasses or contacts. How do I know if FLACS is right for me? You and your Woolfson surgeon will initially have a consultation to design your customized laser cataract surgery driven by your current health, medical history, and unique needs. During this process, a detailed examination will be performed. Ask your surgeon if you should continue your usual medications and nutritional supplements during the period between the exam and surgery. As just one example, common drugs that treat men with enlarged prostates known as Alpha Blockers may cause problems associated with Intraoperative Floppy Iris Syndrome (IFIS) during cataract surgery. Woolfson Eye Institute surgeons may present to you a choice of implantation with a regular single-vision (monofocal intraocular lens (IOL) or a presbyopia-correcting intraocular lens, also known as a multifocal lens. If you are interested in correcting presbyopia, which all people begin to face around age 40, you potentially could restore your ability to see at all distances with a multifocal IOL. Additionally, premium IOLs are a great option that may reduce or eliminate your dependency on eyeglasses altogether. Before surgery, your eyes will be thoroughly measured to determine the proper power of the intraocular lens in addition to the types of lenses that are recommended. Currently, only patients who opt for premium lens implants such as multifocal IOLs, or those who are undergoing astigmatism correction in conjunction with their surgery, will qualify for FLACS. Our doctors will discuss which treatment is best for you, and discuss all insurance regulations so that you can make an informed decision on the specific procedure that is right for you. If you are interested in laser cataract surgery in the Atlanta area, then please contact us today! Dr. Woolfson and our team of experienced eye surgeons are here to ensure that you get the treatment that is best for your particular situation. During your initial evaluation, we’ll go over laser cataract surgery, as well as any other appropriate treatment options that you may need to consider based on the health of your eyes and medical history. Don’t wait. If you are ready to see clearly and eliminate your cataracts once and for all, then give our office a call today!